Jedd Wolchok, MD, PhD - Play for P.I.N.K. If not for BCRF/PFP, we wouldn't have been able to move our research from the laboratory to patients. Seeking strategies to optimize an anti-tumor immune response in breast cancer patients. Several approaches to improve immunotherapy are being pursued, including a phase I clinical trial for a vaccine in HER2-positive metastatic breast cancer. These efforts could have a significant impact on advancing immunotherapy to benefit breast cancer patients. The hope for a breast cancer vaccine is hampered by the fact that breast cancer cells look too much like normal cells and escape immune surveillance. Dr. Wolchok and his BCRF colleagues have devised a novel vaccine that overcomes this barrier. The vaccine is currently in clinical trial for patients with metastatic breast cancer. Other efforts are ongoing to improve response to immunotherapies. Targeted immunotherapy has re-emerged as an exciting therapeutic option in the arsenal against cancer. Clinical trials of immunotherapy drugs in breast and other cancers have demonstrated a sustained clinical benefit for some patients, but challenges persist in understanding the best approach for each patient and in improving the response to immune-based therapies. Effective immunization against breast cancer is difficult because breast cancer arises from cells that were once normal, and our bodies have elaborate controls to stop the immune system from attacking our own tissues. Drs. Wolchok, Merghoub, and Norton have found a way to trick the immune system by using a vaccine from a different species. It works because the immune system recognizes the vaccine as “foreign” and generates an immune response to destroy breast cancer cells as if they were foreign invaders. A Phase I clinical trial to test the vaccine for safety and efficacy in patients with HER2-positive metastatic breast cancer is ongoing (ClinicalTrials.gov NCT00393783). The research team will continue to evaluate the biomarkers of response in patients and begin along with several other ongoing efforts including studies to optimize the combination of immunotherapy with radiation therapy and to evaluate a combination approach to improve response to immunotherapy. Two mechanisms by which tumors can escape the immune system is by promoting local immune suppression and by changing their metabolism. Dr. Wolchok’s team is working on two potential drugs that target these activities and will test them in combination with immune therapies in laboratory models. They expect this dual approach to inform the design of future clinical trials and advance the use of immunotherapy for breast cancer patients. 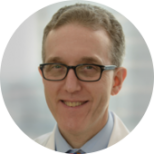 Dr. Wolchok is Chief of the Melanoma and Immunotherapeutics Service, Attending Physician at Memorial Sloan Kettering Cancer Center (MSKCC). Dr. Wolchok has helped establish MSKCC as a leader in the discovery and treatment of cancers with novel immunotherapies. Dr. Wolchok was instrumental in the clinical development leading to the approval of ipilimumab for advanced melanoma. He also leads the MSKCC Immune Monitoring Facility, a world-renowned full-time core dedicated to the pre-clinical and clinical cellular, serological and pathological monitoring of clinical trials of new immunotherapeutic approaches. He is Principal Investigator of numerous ongoing clinical trials at MSKCC in the area of immunotherapy. He supervises an NIH R01-funded basic science laboratory which is focused on investigating novel immunotherapeutic agents in pre-clinical laboratory models. In 2011, Dr. Wolchok established the Immunotherapeutics Clinical Core, a specialized phase 1-2 outpatient unit at MSKCC that is focused on the conduct of novel immunotherapy trials, with a specific emphasis on pharmacodynamic biomarker identification. This group treats patients with a broad spectrum of malignancies.